© 2012 Clive Maund - The above represents the opinion and analysis of Mr. Maund, based on data available to him, at the time of writing. Mr. Maunds opinions are his own, and are not a recommendation or an offer to buy or sell securities. 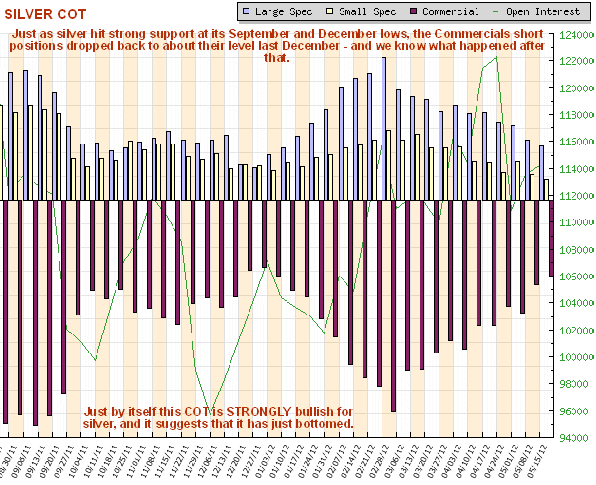 No responsibility can be accepted for losses that may result as a consequence of trading on the basis of this analysis. Is it a descending triangle or a downward channel? $26 or $21 bottom? 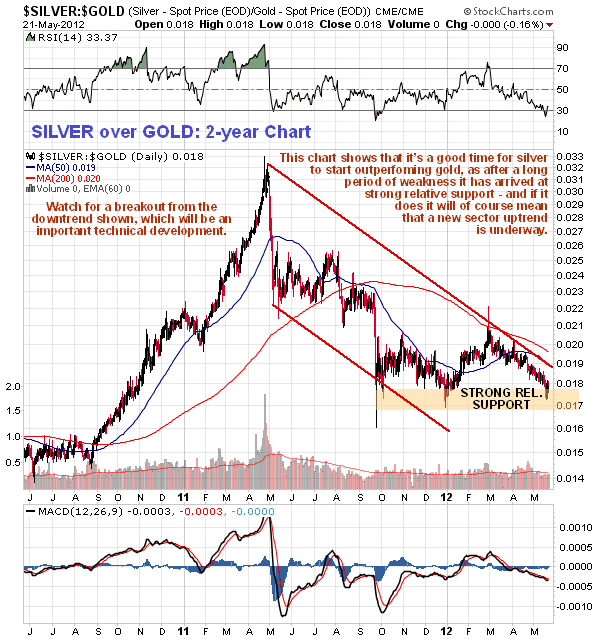 Well the bottom on the silver/gold ratio channel would be 0.013, yet the bottom of the silver chart channel would be $21. That would be $1615 gold, which would not make sense for a further bottoming, since it is above the current gold price. 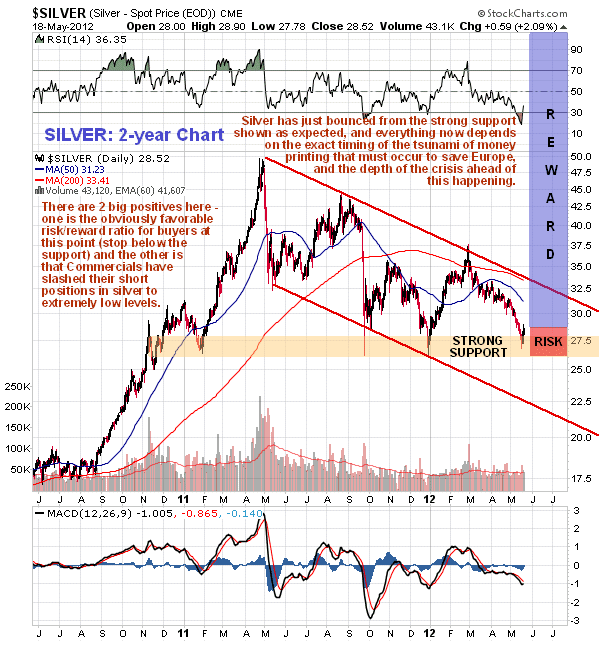 So as I predicted here on this site in Oct 2010, the bottom for silver after the run above $45 will be $25 - $27. Okay $21 is a possibility, but I think the odds are favoring $26 and the triple bottom scenario within a descending triangle, which is a continuation pattern.